Juicy Couture has launched a special limited edition of Viva La Juicy in pure parfum formulation. The scent is available for the holiday season. This deluxe version of the scent is a sweet and fruity mix of mandarin orange, wild berries, honeysuckle, gardenia and creamy amber notes. 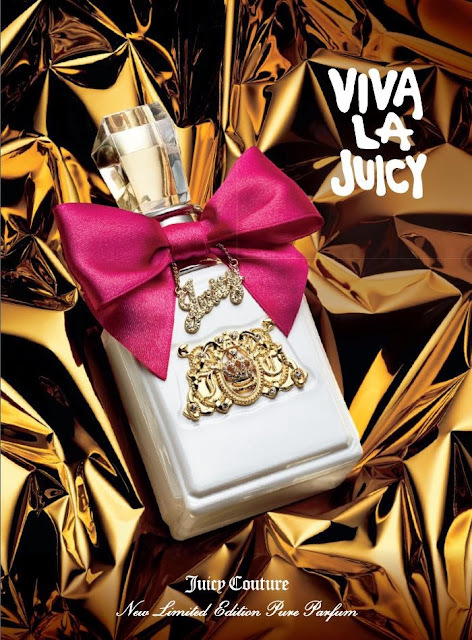 The fragrance comes in a 100 ml limited edition bottle featuring a white lacquer finish, adorned with a new dangling charm and pink bow. The pure parfum is presented in a luxurious satin box.